When we're hungry, we tend to take to Twitter or Facebook to unleash our darkest cravings. 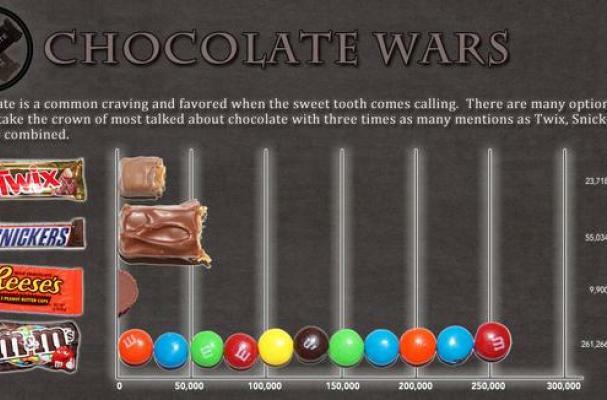 It's no surprise, then, that Viralheat was able to analyze Twitter mentions during the 2012 Halloween season to determine our most-talked-about candy favorites. 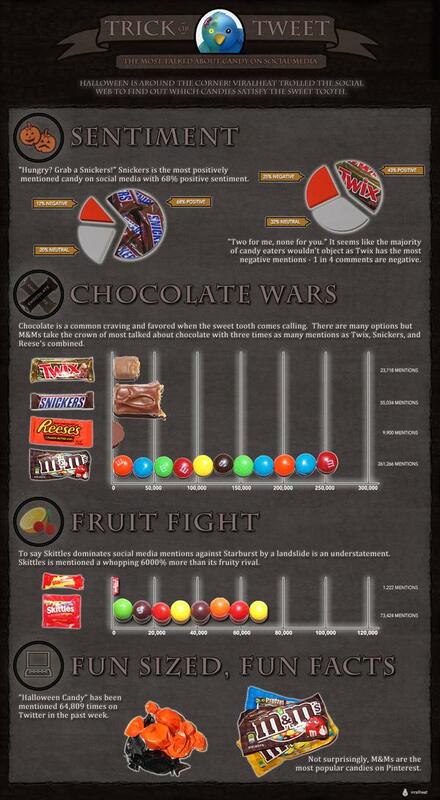 See the results in this mouthwatering Halloween candy infographic. What candy do you think will rule social media this Halloween?